From February to May 2016, I worked as Marketing and PR Manager for the tenth Flatpack Film Festival. 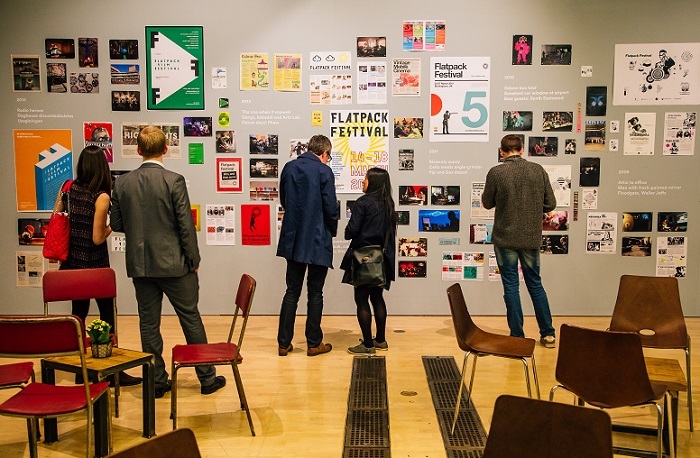 I have worked with Flatpack for seven festivals (2010-2016) on their marketing and regional press campaigns. Taking place from 19-24 April 2016, the festival also celebrated its tenth year this year. An annual festival taking place across Birmingham, the tenth edition was a packed week of screenings, performances, installations, workshops and happenings. Highlights included screenings in a giant inflatable in Victoria Square, a celebration of Birmingham’s movie-going history and a performance from Pierre Bastien. Main contact for national PR agency, providing information as required for the national press campaign. Assisted with visiting press during the festival. Managed regional press campaign. Fed into the compilation and production of print material; including the festival brochure and pocket guide. Oversaw print distribution before and during the festival maximising the potential for visibility and readership. Ensured the festival was adequately and effectively documented. Reviewed and implement methods and processes for collating feedback and audience data. Image courtesy of Jack Spicer Adams.